Baby Hazel Goldfish Baby Hazel Goldfish Put this new pet goldfish into Baby Hazel's fish bowl and follow the instructions to take care of your new friend! Bass Fishing Pro Bass Fishing Pro Catch the required amount of fish before the time runs out. Harder than most fishing games!!! Battered Red Fish Battered Red Fish Its dinner time and you found a new recipe. Test your cooking skills and follow the recipe to make the perfect meal! Big Fish Big Fish Catch as many fishes as possible within 2 minutes. Cat n Fish Cat n Fish The cute little cat has one desire in life- Devouring as many fish possible! Will you help him? Evolvo Plus Evolvo Plus Eat smaller fish to evolve and get new abilities in the newest part of Evolvo. Avoid bigger fish in order not to be caught. Fish And Destroy Fish And Destroy Try to survive as long as you can in this freaky dimension. Fish Bowling Fish Bowling owl the fish bowl down the alley and try to knock down all the pins with one hit. Fish Crunch Fish Crunch Chase and eat smaller fish while avoiding bigger ones. Fish for Girls Fish for Girls Hooking honeys is all about using the right hair product and rod control. Fish Race Champions Fish Race Champions Join the fish racing competition, do various training to increase your fish ability and win the races! Fish Tales Deluxe Fish Tales Deluxe Meet Sunny, a small fish in a ocean.Try to survive in dangerous waters. Fish World Match 3 Fish World Match 3 Fish World is a fun "under the sea" themed Match 3 in a row casual game. Fishdom H2O Fishdom H2O Play item finding puzzle games to make money and then upgrade your fish tank to make it the best. Fishdom Harvest Splash Fishdom Harvest Splash Align at least 3 equal figures and get money to buy little fishes and plants for your fish tank. Fisher Diver Fisher Diver A contemplative deep sea adventure about career paths and the thrill of the hunt. Fishing Frenzy Fishing Frenzy Fishing Frenzy tests your reflexes as you battle the clock to catch as many fish as you can. Fishing Trip Fishing Trip Catch the required amount of fish before the time runs out. Fishtopia Tycoon 2 Fishtopia Tycoon 2 Catch, breed and sell fish to turn your fish stand in to an empire! 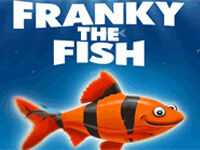 Franky the Fish Franky the Fish Franky is on a mission to eat the world! A quick game where your goal is to eat the smaller fish to grow larger. 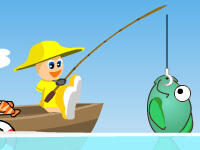 Funniest Catch Funniest Catch Go fishing with two funny sailors and help them to get luck! Good Fish Bad Fish Good Fish Bad Fish There are Good Fishes and Bad Fishes, Good Fishes must survive while the ad Fishes should not reach to the water! Icy Fishes Icy Fishes A fun chain reaction game with strategic system. Help the octopus to rescue fishes from ice floes to ... eat them. Johnny The Fish Johnny The Fish Help this cute fish named Johnny get dressed up for a date! Kill On Fishing Kill On Fishing Your fishing partner is annoying you and you want to kill him. Click on the items to kill your partner. Lake Fishing 3 Lake Fishing 3 Lake Fishing 3 is Fishing Games, realistic fishing on Lake Forest. Playing in this game - you can fully relax and enjoy! Maple Story Pianus Maple Story Pianus Fight against the powerful fish with your powerful magic spells. Die and the fish gets 100% again. Penguin Brothers Penguin Brothers Help Penguin brothers to eat fish. Match three or more fishes to remove it from the board. Use mouse to target and shoot. Pour The Fish Pour The Fish The fish had a carefree life until they were sucked down the drain. You must help them! Pour the Fish Level Pack Pour the Fish Level Pack Pour the water on the fish to complete each level. Puffer Fish Puffer Fish The small fish is far away from its home. Help her to pass all dangerous waters to get home. Puzzle Farter Puzzle Farter The mission of the farter is to find the exit door on every level. The sweet goldfish can fly by an unconventional method. Ronald the Fish Ronald the Fish Ronald must to take a part in TV show to get a freedom. Sponge bob Bathtime Burnout Sponge bob Bathtime Burnout Collect as many Jellyfish as you can and get to the end of each level to unlock the next level and new characters! 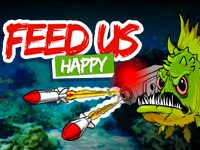 Squid Fishing Squid Fishing Collect all squids in limited time with the arrow keys. Firstly catch the shining squid. Tricky Fish Tricky Fish Help square fish get these pearls. Avoid saws and use bubbles to fly. Woot Fish Woot Fish Give power to the Woot Fish to avoid hitting walls, spikes, and monsters. Reach the water safely.